EPD stands for Environmental Product Declaration and quantifies the environmental impact of a product over its given lifecycle in the material stream. Much of the information on the EPD is based on a life-cycle assessment (LCA). An LCA assesses environmental impacts over the life of the material, building, or product, from raw material extraction, manufacture, through its use, to when it ends up in an incinerator or landfill. The EPD itself is essentially a data sheet that includes information on the specifics of a certain product as well as environmental information on the company that manufactures that product. 1. Life Cycle Impact (LCI) – How much energy, material inputs and environmental concerns does the item contain, what are the impacts? 2. Material Sourcing – Where and how was the material created, what processes were used to extract the raw materials? 3. Environmentally Preferable ingredients – Were recycled, rapidly renewable or environmentally certified materials use? Does the product contain harmful VOCs and other chemicals? 4. Manufacturing practices: land use, extraction locations, labor practices – How does the company that makes the product act? Does the product require clear cutting forests or dumping of waste into rivers? Is the material local? So, EPDs create a place for transparency and allow for purchasers to choose between products not just based on the product itself, but on the many factors that go into creating that product. Through transparency, EPDs help to make a market that is fair to those who choose to produce products in a more ethically and environmentally friendly way. Although it may “cost” more for products to be produced more ethically, that is only a financial cost, and EPDs allow for the “true cost” of creating products to be seen, allowing project teams to choose a healthier and more ethically produced flooring material over one which is known to include harmful chemicals which may cause cancer or other negative impacts. The damage, or non damage, of ecosystems in the creation of products and other environmental factors now levels the playing field to be able to compare products across a variety of factors beyond just the product’s intended use. EPDs are now required in LEEDv4 in order to earn points in the material credits. Some manufacturers already are providing this information, but many still have yet to do the Life Cycle Analysis of their manufacturing process in order to gather the information required for the EPDs. After October 31, 2016 as projects will be required to pursue LEEDv4, we hope to see more manufacturers providing this information as more project teams begin requesting it. USG has already provided many EPDs. Environmental Product Declerations will continue to help propel the manufacturing industry to create more environmentally friendly and ethically produced products. 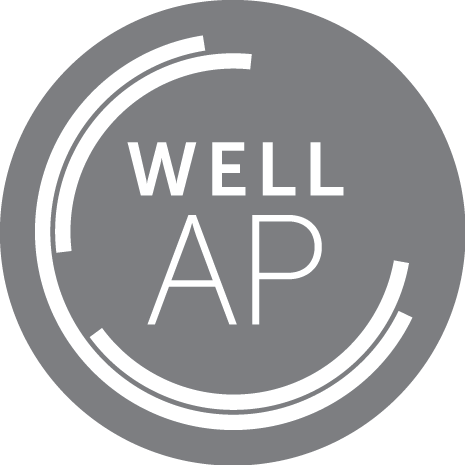 As the interest in rating systems like WELL and the Living Building Challenge also request project teams to look at the specific chemicals that are part of the materials they use, manufacturer’s will need to find healthier alternatives to many of the harmful chemicals which are commonplace in manufacturing today. https://signaturesustainability.com/wpinhere/wp-content/uploads/2016/06/green-energy-house.jpg 667 1000 Ian Johnson https://signaturesustainability.com/wpinhere/wp-content/uploads/2015/08/signature-sustainability-logo.png Ian Johnson2016-06-29 12:00:472016-07-29 14:13:01What is an EPD? When is LEEDv4 required and what are the major changes? 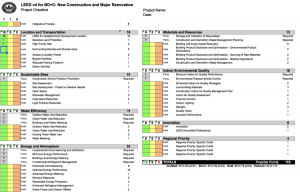 LEEDv4 is the USGBC’s newest version of the LEED Rating System. As with each of the previous incarnations of the program, LEEDv4 brings many new changes to the program but still maintains many of the core credit strategies of the previous versions. Originally released November 2013, at the annual Greenbuild Conference, the USGBC chose to delay the mandatory adoption of date of LEEDv4 due to industry push back. Since then, projects have had the option to pursue either the 2009 version or v4. LEED v4 will be mandatory as of October 31, 2016. With only a few months away from the official day when all projects must use the v4 rating system in order to achieve certification, many are wondering: What are the new requirements for LEEDv4? and What is different about LEEDv4? In order not to bore you with the details, we’ll stick to the major credit changes and not dive too deeply into the specifics, which you’ll be able to easily research on your own once you have a clearer idea of where to start. Many credits have been renamed or combined into new credits, we’ll just list the brand new credits for BD+C to keep it simple for now. Integrative Design: (1 point) looks at early and collaborative project discussions and models to find opportunities for synergies between disciplines to achieve greater efficiencies throughout the project in energy and water. LEED for Neighborhood Development: encourages the pursuit of the LEED ND rating system and a streamlined path for pursuing Location and Transportation points. Site Assessment: an early site analysis to evaluate Topography, Hydrology, Climate, Vegetation, Soils, Human use and Human health effects. Outdoor Water Use Reduction: PREREQUISITE – requirement for landscape water use reduction by 30% through EPA’s WaterSense Water Budget tool or no irrigation. Building-Level Water Metering: PREREQUISITE – requirement for measuring whole building water use. Cooling Tower Water Use: additional analysis of water sources and maximization of water cycles. Water Metering: must submeter a minimum of two water end uses. Products can earn credit for manufacturers that provide information on land use practices, extraction locations and labor practices etc. Products can earn credit for meeting programs such as Health Product Declaration, Cradle2Cradle, etc. Minimum Energy Performance: ASHRAE 90.1-2010 now required – Demonstrate an improvement of 5% for new construction, 3% for major renovations, or 2% for core and shell projects in the proposed building performance rating compared with the baseline building performance rating. EPDs: Environmental Product Declarations: are now required in order to earn credits as some of the major material credits in LEEDv4. The Materials Reuse, Recycled, Regional, Rapidly Renewable and Certified Wood material credits are gone and are now incorporated into parts of the three Building Product Disclosure and Optimization credits. https://signaturesustainability.com/wpinhere/wp-content/uploads/2016/06/leedv4-illustration.jpg 577 1000 Ian Johnson https://signaturesustainability.com/wpinhere/wp-content/uploads/2015/08/signature-sustainability-logo.png Ian Johnson2016-06-29 11:57:412016-06-29 16:40:52When is LEEDv4 required and what are the major changes? For those just learning about green building, you’ve come to the right place. 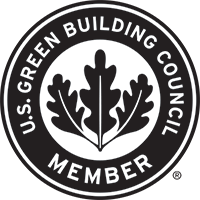 We’ve been working on green buildings for years and one of the biggest changes in construction in the last 20 years is the creation of the USGBC and the LEED Rating System. 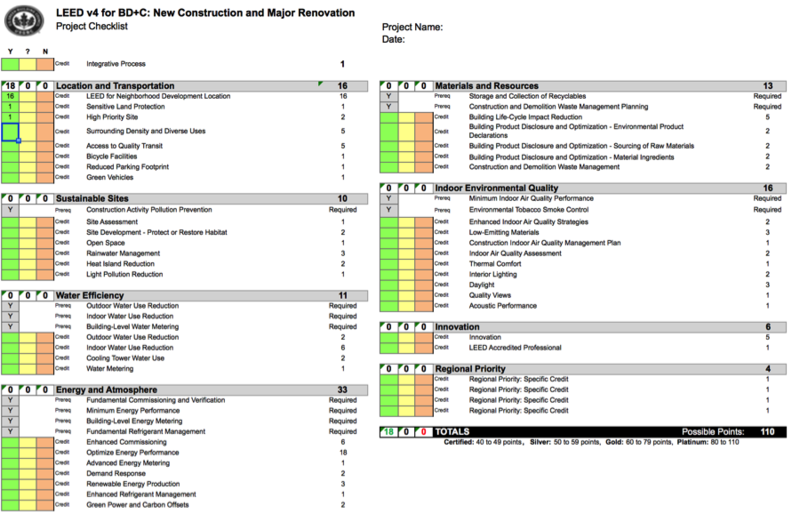 LEED is a rating system that was developed to streamline the process of creating environmentally friendly buildings. LEED looks to reduce energy and water use, create better indoor air quality and environment for occupants and reduce the carbon footprint of the materials used and waste created in the process of construction. Today, there are many different rating systems, but the USGBC and LEED began a movement that propelled the construction industry into going “green”. 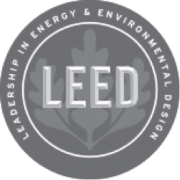 LEED itself stands for Leadership in Energy and Environmental Design. LEED was created by the USGBC (United States Green Building Council) in 1993 in order to push the building industry in a more environmentally friendly direction. As the construction industry had pretty much operated status quo for almost a century, it was certainly time for a change, and LEED looked to transform the market. According to the EIA, about 40% of all energy consumed in the US in 2015 was from residential and commercial buildings, indicating we can make great reductions in energy demand through better design, smarter construction and more thoughtful renovations of new and existing building stock. The US currently has around 50,000 LEED projects with another few thousand internationally. While many building projects still operate much like they did fifty years ago, the industry has begun the movement towards more environmentally thoughtful design. Much of LEED’s success can be attributed to its holistic approach to building. Although many experts would agree that energy reduction is the most important focus in sustainable building, it is not the sole focus of LEED, but absolutely a major component. Most of the credit categories are made up of a mixture of prerequisites and credits. Prerequisites are mandatory and all LEED projects must meet these requirements in order to achieve even basic certification. Based on the number of credits achieved, a project is then able to bank points towards earning a level of certification: 40-49 points (Certified), 50-59 points (Silver), 60-79 points (Gold), and 80-110 points (Platinum). LEED projects look at not just the completed building’s energy and water use, but also the construction process, including waste reduction, habitat restoration, low/no chemical materials (Low VOC and NAUF), and sustainably sourced and manufactured materials (through the use of EPDs – Environmental Product Declaration) Because of the holistic approach, some may find LEED to seem overwhelming and overly complicated, however with a little education (you can earn your LEED AP credential) and some experience on a project, you will have a strong understanding of the program and will be able lead your team on the next LEED construction project and add to the growing number of building projects that are seeing the value in building more sustainably. https://signaturesustainability.com/wpinhere/wp-content/uploads/2016/06/birds-eye-view-of-residential-neighborhood.jpg 667 1000 Ian Johnson https://signaturesustainability.com/wpinhere/wp-content/uploads/2015/08/signature-sustainability-logo.png Ian Johnson2016-06-29 11:55:582016-06-29 16:40:44What is LEED?